Live in sophisticated style in this masterfully constructed 6 bedroom golf course home. A long winding driveway greets you as you enjoy the peaceful, private setting and lovely landscaping. This remarkable traditional design speaks of gracious southern hospitality, with a spacious first floor living area and porches that are perfect for entertaining large groups. A well equipped gourmet kitchen features gorgeous granite countertops, and a large island with seating is great for guests. One of the four master suites is on the first level, with a sliding door to the back deck, walk in closet with custom shelving, and a exquisite hand tiled bathroom. A second master has its own floor, for extra privacy, with a small office, two handsomely large closets, and huge bathroom. The top floor boasts two more very lovely master suites, a supersized double bunk room and 6th bedroom. 10 foot ceilings allow for lovely transom windows, which give the home lots natural light. 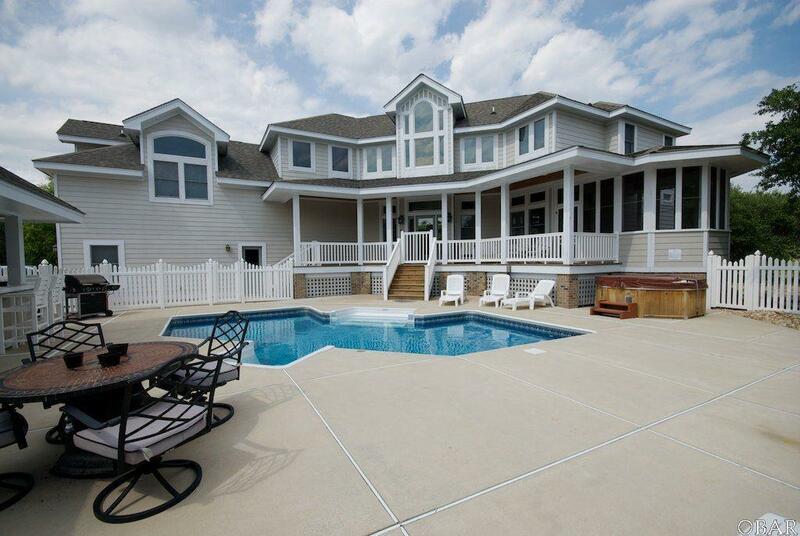 The piece de resistance is the extensive outdoor entertaining area surrounding the pool and separate pool house! A tiki bar and hot tub, and outdoor grill offer the perfect outdoor setting. The 16'x30' pool house separates the recreation room from the main house with pool table, kitchenette, private full bath, and built in twin bedding for an extra sleeping area. 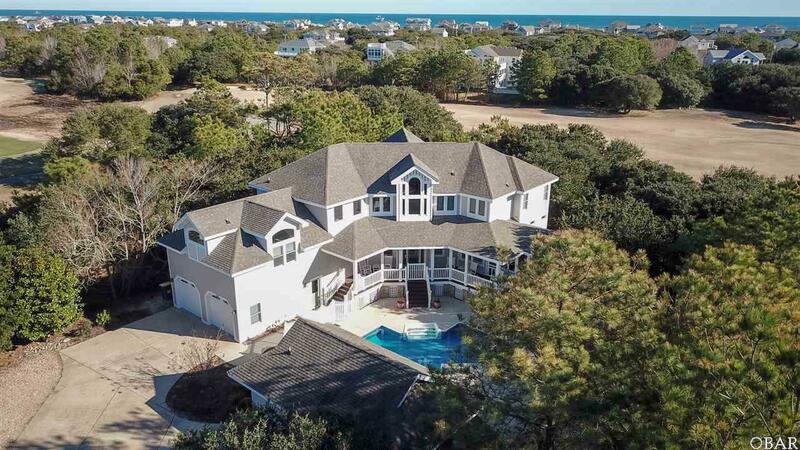 This home is elegantly appointed with high end finishes throughout and is situated on the fairway of the Rees Jones design golf course at The Currituck Club. 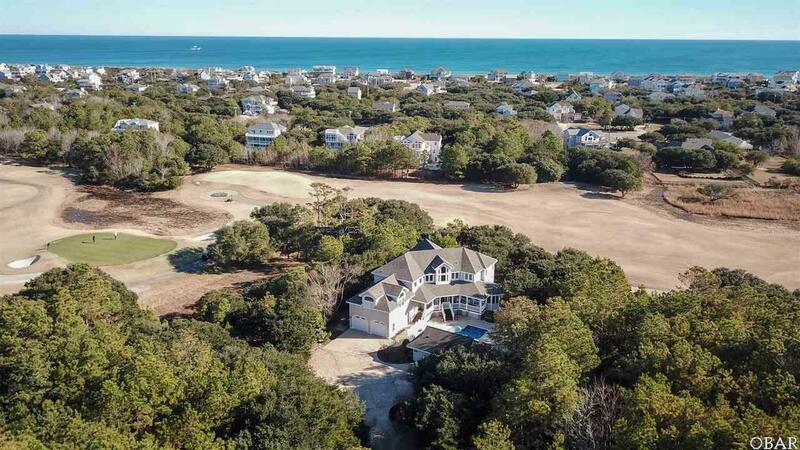 This premier gated community in Corolla Outer Banks, offers incredible amenities including trolley service to the beach in season, world class golf, health club, tennis and basketball courts, pools, park, playgrounds, and excellent dining, shopping, and entertainment options nearby!